Whine to the Music is the art of pairing wine and music. In the same way I approach ART & WINE PAIRING, I will tackle wine and music. Ill look at the structure of the wine and pair it to the elements of the music. Take a sip of your wine. do you feel anything. Watch a music video...do you feel anything Whine to the Music is pairing wine and music based on emotion. How does one begin to approach such an obscure concept Below you will see the basic structural elements of wine and how they pertain to music. “WhINE to the music” is the art of pairing grooves with wine, such as Disclosure & London Grammar singing “Help me lose my mind” with E. Guigal Condrieu. We have been drinking wine with music since the dawn of wine. I don’t think music would have evolved without wine. Most people tend to turn up the music when they drink wine. Whine to the Music is not just sitting back, drinking wine and getting teary eyed. It is a concept like ART and Wine Pairing, where we dissect the structures of the wine and the art to its basic elements. The structural elements eventually create an emotion in us. Whine to the Music is the art of pairing wine with music based on the emotion they evoke in us. Aromas and Flavors: The song, “Help me lose my mind”, has a steady deep bass, with a sultry voice sung over it. But what brings the two together is the synthesizer. The synthesizer brings life to what could otherwise be a sad song. It lifts the beat and provides a melody for the sensual vocals. The wines of Condrieu have lift. The aromas and flavors are lively and fresh. The aromas of apricot, white peaches, honey and white flowers are the melody which give the wine a durable framework. One can imagine white flowers falling from the sky while on the dance floor dancing to this song. Body: When comparing a wine’s body to music I try to match the wine’s weight with the fullness of the sound of the music. This song has some weight, I would say a medium to full body. Viognier from Condrieu has a medium to full body. The synthesizer lowers the body of the music just a tad. If there were more drum and guitar the weight would increase and Viognier would not pair. However, the balance of the synthesizer with the bass allows this song to pair with Condrieu. The rhythm gives the song and the theme of the words give weight to the song. Acidity and Alcohol: Acidity is the key element in a wine’s structure. Condrieu is made with Viognier, a grape of lower acidity. It is known to have increased alcohol which might come across as a burning sensation on the tongue. The fruity, floral balance of flavors combined with a rich texture on the palate, offer the wine’s structure. When a wine, such as E. Guigal Condrieu, is carefully made there is no better wine. Disclosure has a somewhat simple song backed with sultry vocals which matches the wine’s texture. The “simple” complexity of Condrieu matches the simplicity of beats and melodies. The sounds are bright and melodic just as the wine is bright and rich, without being flabby. What might seem simple, is actually quite complex and gratifying. Final Impression/the Finish: The E. Guigal 2011 Condrieu is an absolute delight. It is fresh, clean, full-bodied and full of flavor. After tasting the wine, the honeysuckle and peach flavors stay with you for a long time. There is no searching for a finish, the wine is long-lasting and when it drops off this slightly oily texture resonates on the palate. I do not get tired of this song. I can put it on a loop and listen to it all day. There is a calming yet energetic feeling that comes over me. After finishing a bottle of E. Guigal Condrieu all I can do is wish I had another bottle to loop after it. Whine to the Music is the art of pairing wine and music. In the same way I approach ART & WINE PAIRING, I will tackle wine and music. I’ll look at the structure of the wine and pair it to the elements of the music. Take a sip of your wine.. do you feel anything? Watch a music video…do you feel anything? 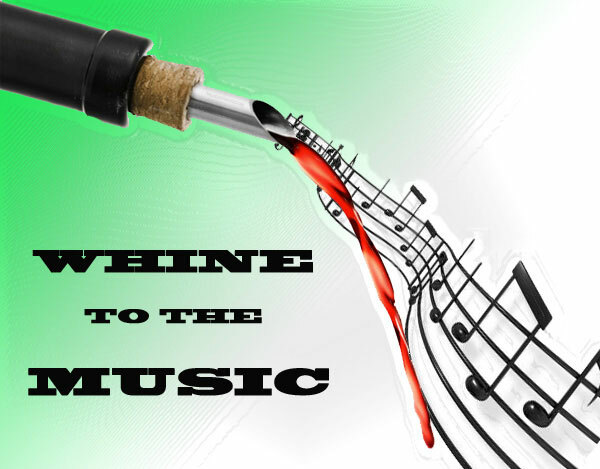 Whine to the Music is pairing wine and music based on emotion. How does one begin to approach such an obscure concept? Below you will see the basic structural elements of wine and how they pertain to music.